Perception isn’t just about cameras and sensors. Software has to convert the data and infer as to what it “sees”. 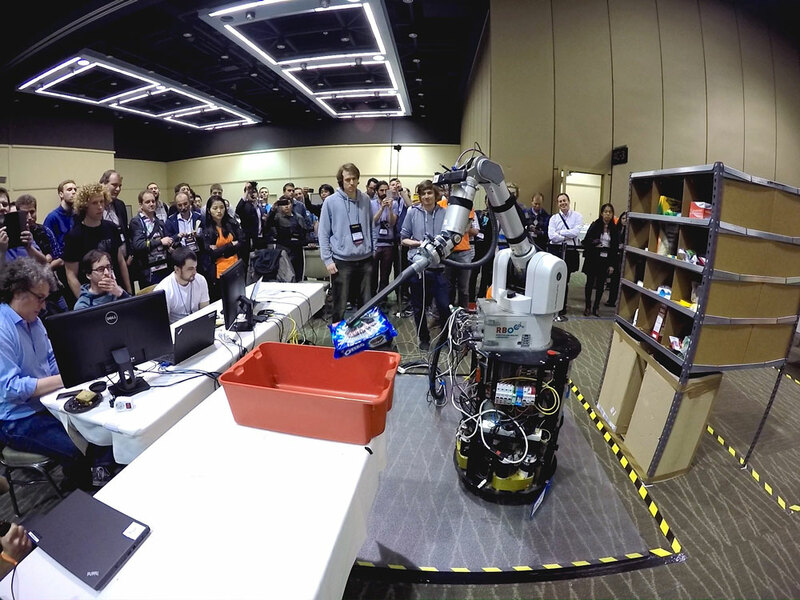 In the case of the Amazon Picking Challenge held last week at the IEEE International Conference on Robotics & Automation (ICRA), each team’s robot was to pick from a shopping list of consumer items of varying shapes and sizes – from pencils, to toys, tennis balls, cookies and cereal boxes – which were haphazardly stored on shelves, and then place their selected items in a bin. They could use any robot, mobile or not, and any arm and end-of-arm grasping tool or tools to accomplish the task. 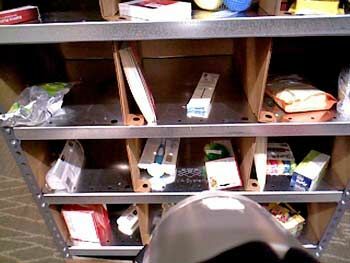 It’s tricky for robots using sensors to identify and locate objects that can be confused by plastic packaging within the shelf or storage area. Rodney Brooks, of iRobot, MIT and Rethink Robotics fame, often speaks of an industry-wide aspirational goal regarding perception in robotics: “If we were only able to provide the visual capabilities of a 2-year old child, robots would quickly get a lot better.” That is what this contest is all about. The top three winners were the teams from Technical University (TU) – Berlin, with 148 points; MIT in 2nd place with 88 points; and the 3rd place finisher (Oakland U and Dataspeed), which only got 35 points. Teams were scored on how many items were correctly selected, picked and placed. Many commercial companies with proprietary software for just this type of application (such as Tenessee-based Universal Robotics and their Neocortex Vision System, and Silicon Valley startup Fetch Robotics who were premiering their new Fetch and Freight system at the same ICRA conference) chose not to enter because the terms of the challenge included that the software be open sourced. Noriko Takiguchi, a Japanese reporter for RoboNews.net, who was at the contest, observed the TU team and said that their approach was torque-based plus position control of the arm and the mobile base, consequently they had good torque control that that gave them flexibility in choosing where to place the suction cup and how much suction to apply.